Online dating activity reflects this sentiment. During the period from Thanksgiving to New Year’s, sites like Zoosk, Elite Singles and Bumble all report significant increases in sign ups and messages. Here are 6 tips to help you make the most of the peak dating season, and find the kind of connection you can carry through to the new year. When people are thinking of trying a dating app for the first time, where do you think they’ll go? To one of the BIG, well-known players. But...the problem with a big site is that the field gets CROWDED, which can either make it that much harder to stand out, or overwhelming to be in the middle of. Instead, head to a dating site that puts more effort into the matches it creates. Zoosk’s Behavioral Matching tool gets to know your habits - likes and dislikes - and offers matches accordingly. It’s designed to gauge your own personality, and what you’re looking for, and then match you with someone you’d mesh well with. Plus it helps to be on a site filled with people who are actively looking for serious relationships too. Try to limit it to 300 words max - keep it interesting, engaging and light hearted - always leave them wanting to find out more. Avoid saying anything negative like the things you’re not looking for in a partner, or your list of turn offs - nobody likes a moaning murtle. Focus on what you are looking for, and keep it positive! Be careful when you’re setting your filters, and try to remain open minded so you have a broader range of people to connect with. Limit your dealbreakers to three - anything more and you may end up passing on some great matches because of traits that are really non-issues. Ladies - don’t wait for men to message you! If you like someone, take control of your love life, and send them a short but sweet message. If they’re interested they’ll reply, and if they don’t, their loss. There are plenty more great guys out there who are hoping to find someone just like you. And there's proof in numbers. Conversations initiated by women are 30% more likely to end with a phone number being exchanged. On Elite Singles, which is aimed at busy professionals who don't have time to swipe through thousands of profiles, women who send out the first message are 2.5x more likely to get a response. Ever heard of the Turkey Dump? Yep, the holidays are notorious for lots of couples breaking up, which means there are more people than usual using dating apps to find a rebound. Watch out for any early red flags, and be cautious jumping into a relationship with anyone who has just come out of one. Maybe you’ve had more than your fair share of bad experiences so far, but don’t let that stop you from trying again. 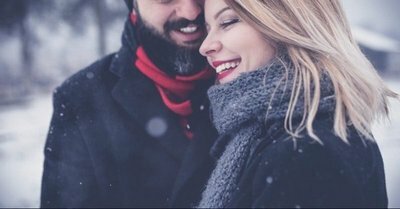 Remember - there is no better time to try online dating than the holiday season, when there are so many potential matches ready and waiting for you to connect with. Maintain a positive mental attitude, and believe that love is right around the corner, ready to sweep you off your feet!